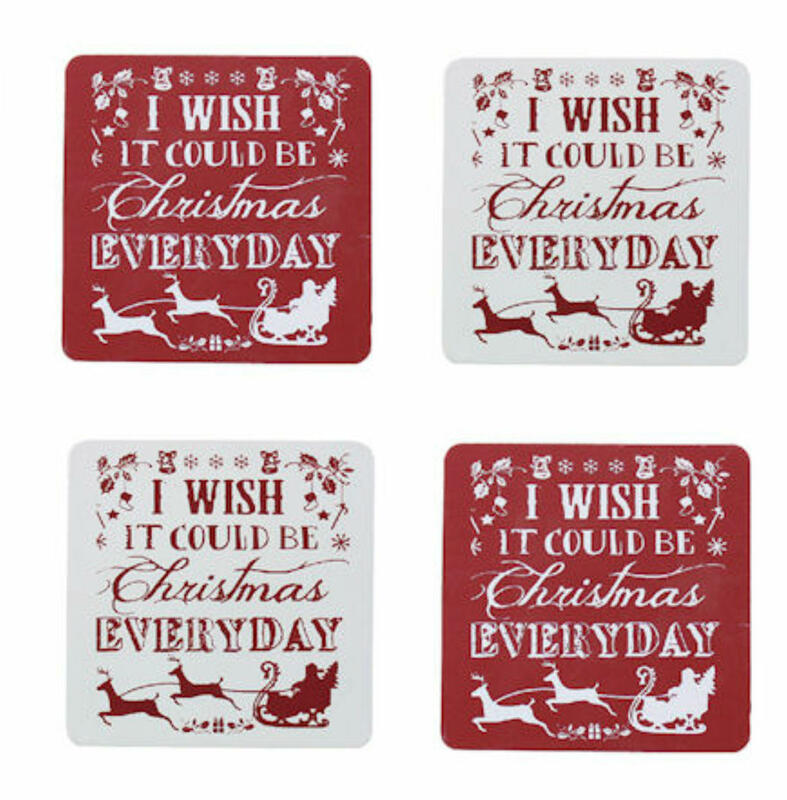 This set of four red and white Christmas coasters features the words 'I wish it could be Christmas every day' and is a colourful addition to any home during the festive season. There are two white and two red with contrasting lettering. Coasters measure 10cm square and are made of lightweight resin with non-slip pads on the base. 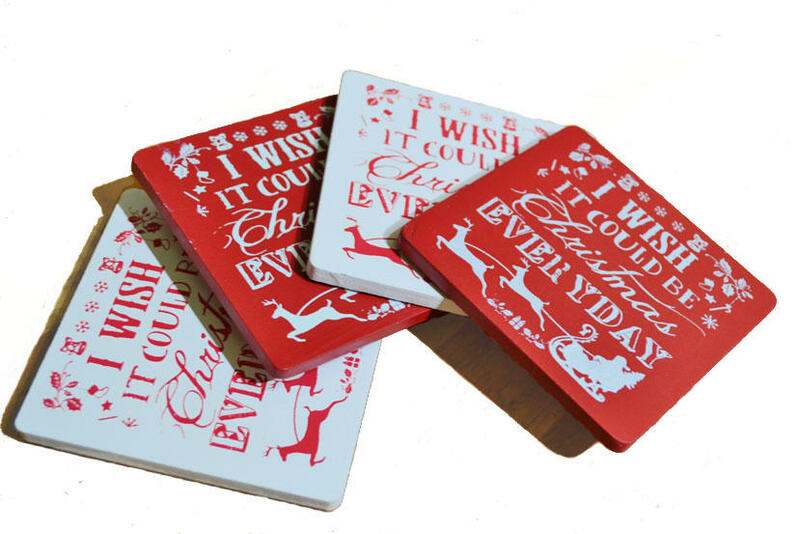 These sets of coasters are sent out 2nd class to keep postage costs to you to a minimum.